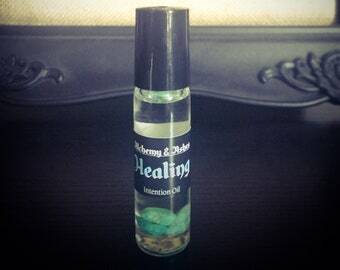 Manifest PROSPERITY with this fragrant oil blend of Green Tea, Mint, Lime. 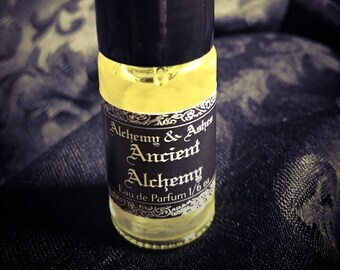 Green Aventurine in the bottle gives it a bit of an extra kick to attract that abundance you’ve been looking for! 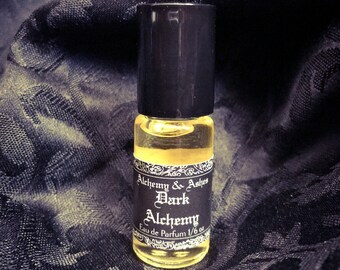 Although our Intention Oils can be worn like perfumes (which is magickal in itself, isn’t it?) ~ don’t stop there! Let your own intuition guide you how else to use them. A little anointing on this or that. 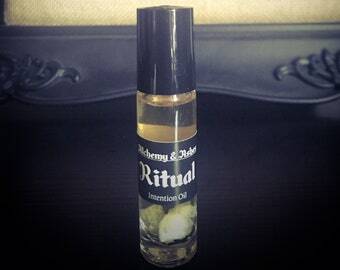 Place some on a cotton ball and take in a generous whiff when doing manifesting work. Consecrate a favorite tool. 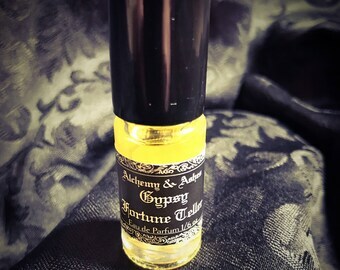 Fragrant oils have a long standing history in witchery of all types. 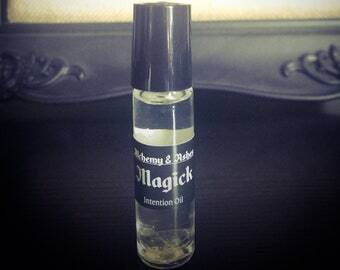 There is a reason why scent is tied to our memories… how will you use YOUR magick? 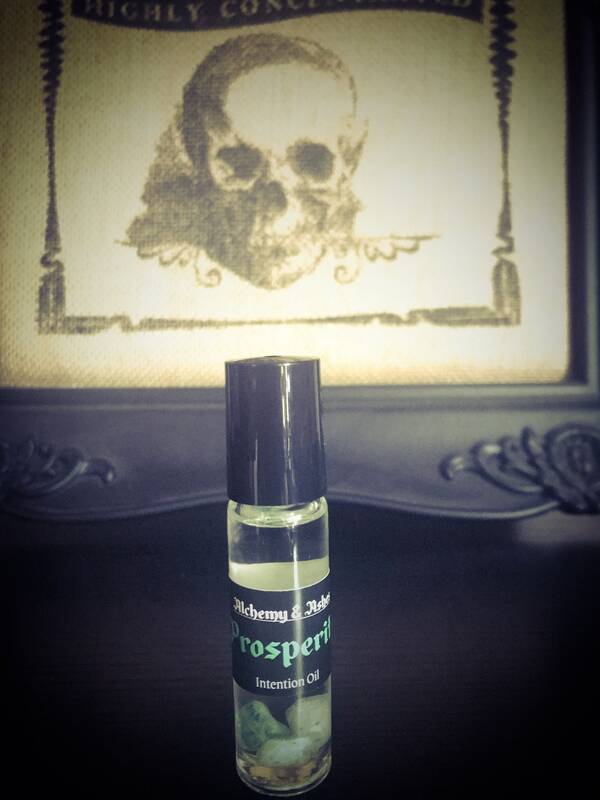 Our PROSPERITY Intention Oil is a blend of Green Tea, Ivy, Spearmint, Lily, and Lime and empowered by Aventurine to attract and maintain wealth and abundance. 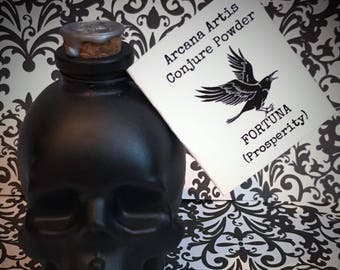 This listing is for one (1) bottle of PROSPERITY Intention Oil. 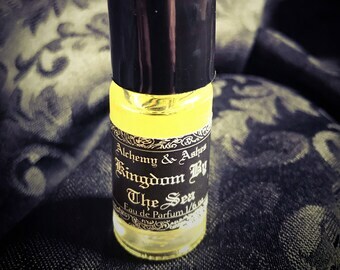 Each oil is housed in a 10ml Glass Bottle with a Metal Roller-Ball, and will come packaged in a matte black pillow box. 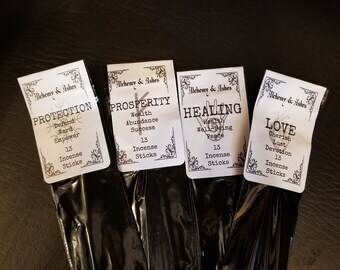 Our INTENTION OILS are formulated to share the same scents as our INTENTION INCENSE ~ Love, Intuition, Prosperity, Healing, Ritual and Magick. 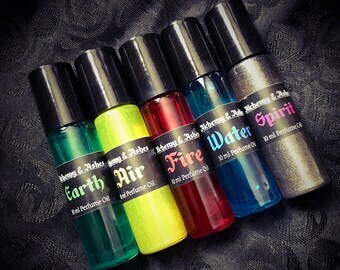 As an additional source of empowerment, we've added gemstones that correspond to the intentions in the bottles. Each Intention Oil is sold separately. It is always recommended, as with any new product, to do a 24 hour patch test on the skin at the crease of your elbow to determine sensitivity to any ingredient. Even with essential oils that you have used before, reactions (such as sensitization or allergic reaction) can occur. 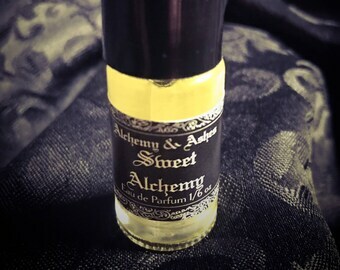 I use these for smoke cleansing, spellwork, offerings to my gods, and honestly sometimes just because they smell so darn good. They've kind of ruined all other incense for me.